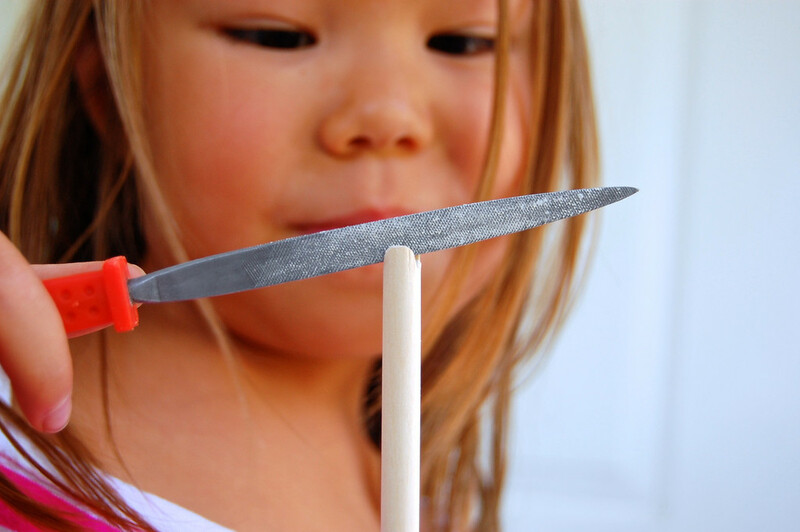 Today we are making arrows! 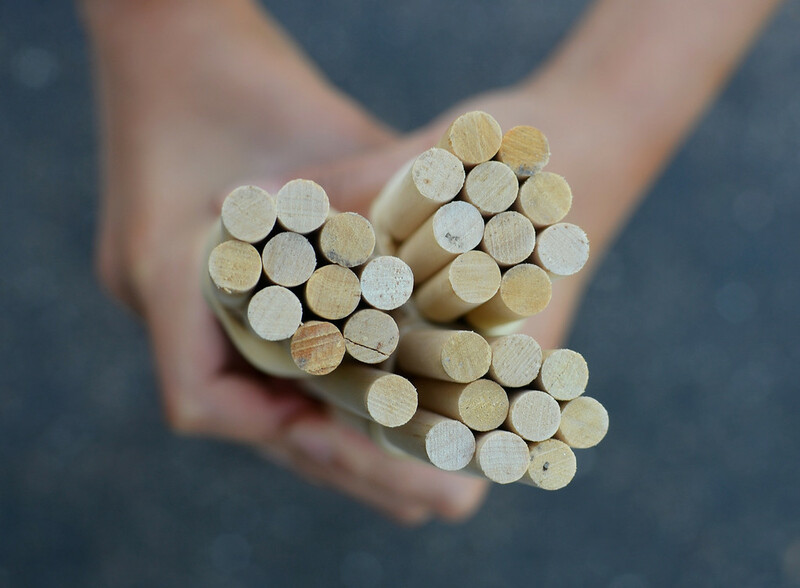 We bought one-yard 5/16" hardwood dowels from here. 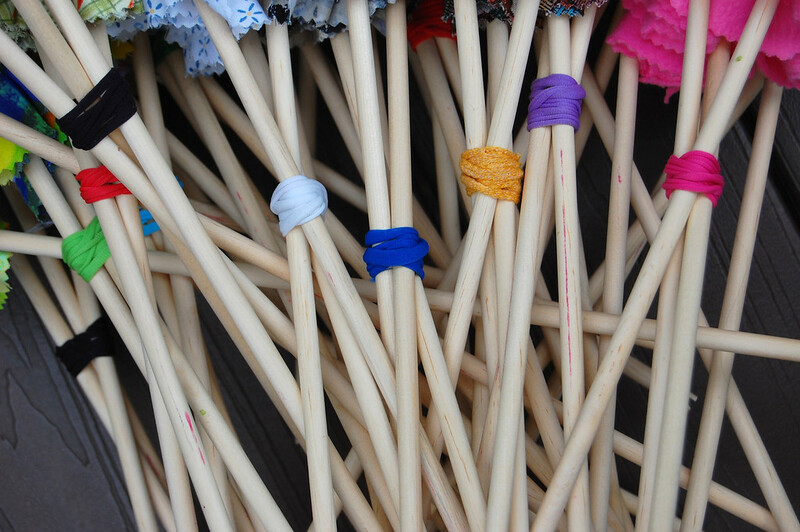 They were of much better quality than the ones I found at Home Depot (which were pithy and soft and sorta warped). Also cheaper in bulk! 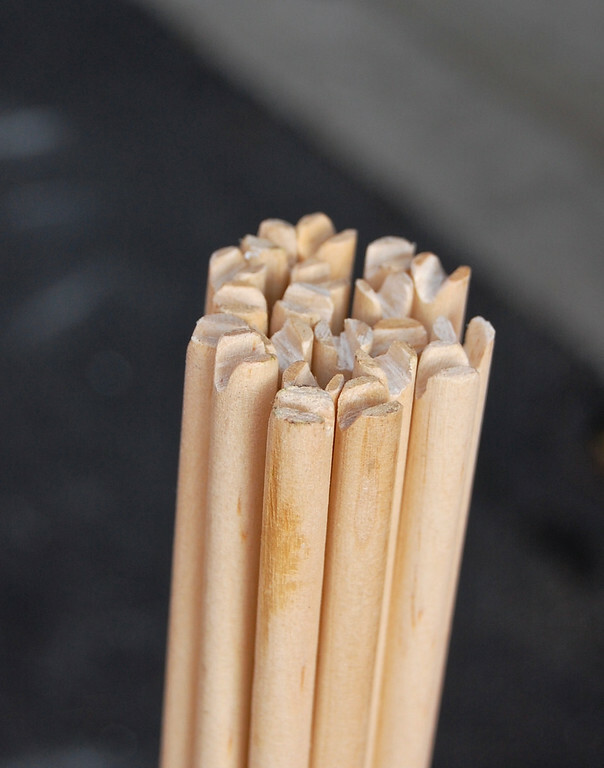 We sawed each dowel rod in half, to get two 18" lengths. This is the only thing for which I used a power tool (and it was only battery-operated, at that). I'm just saying so to reassure you that you don't need fancy tools to make your own bow and arrows set. 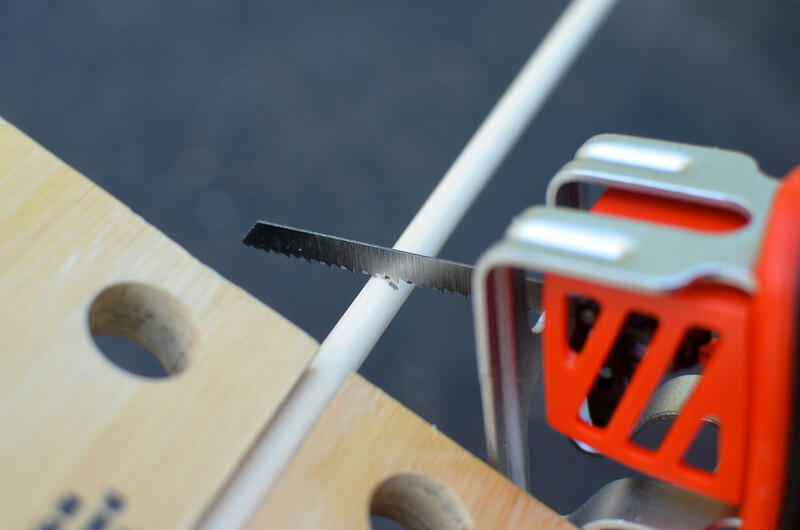 You could use a hand saw to do this same thing. 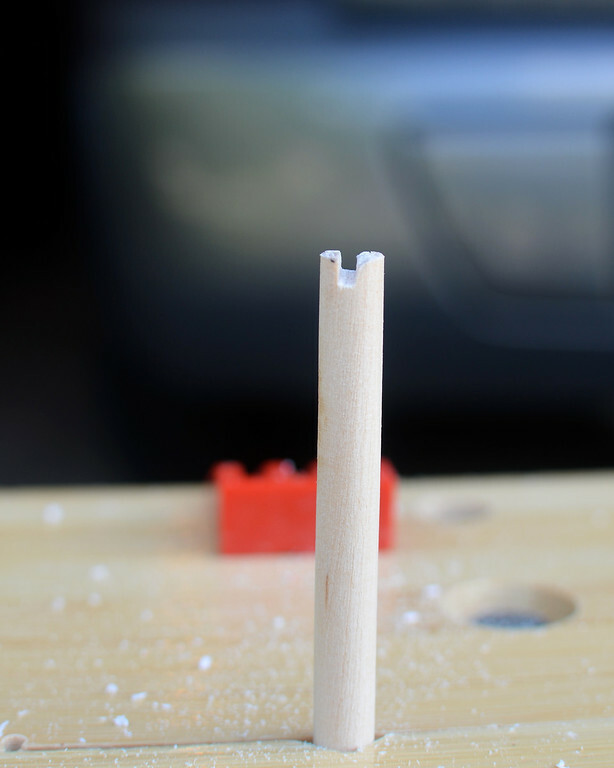 Make a notch in one end. This is the nock of the arrow. I used a mini hacksaw and sandpaper and a file. Make this notch about 1/4" deep. This one is particularly beautiful. But most of the others were sort of V-shaped and funny-looking. It doesn't matter - as long as it's about 1/4" deep, it should stay on the bowstring. Here's Jenna demonstrating how we filed those nocks. Next, we made the arrowheads (I wouldn't call them arrow tips because they're so marshmallowish!). 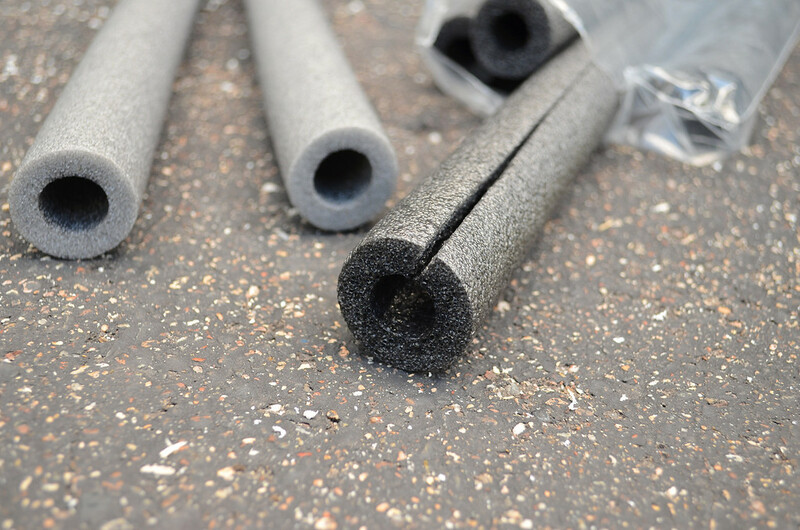 Remember those foam insulation tubes from which we made the bow grips? 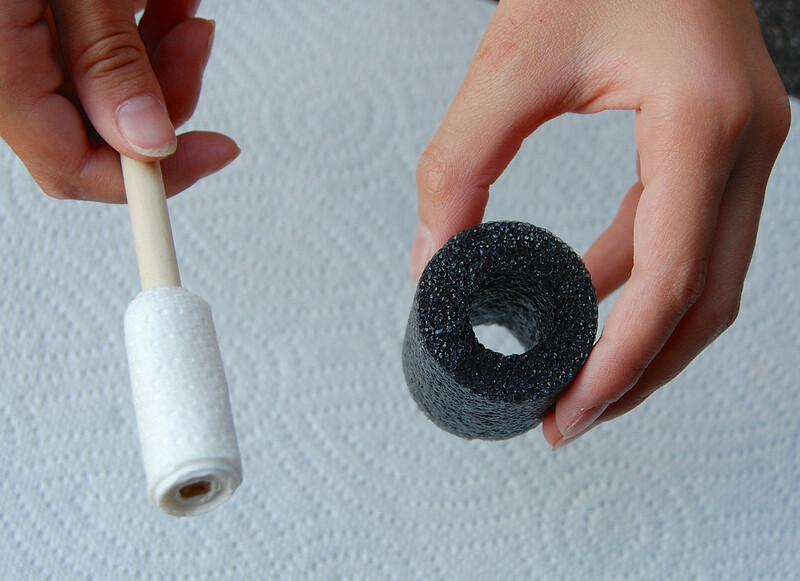 before shoving it into the foam hole (with more glue). The girls all helped to assemble the heads. 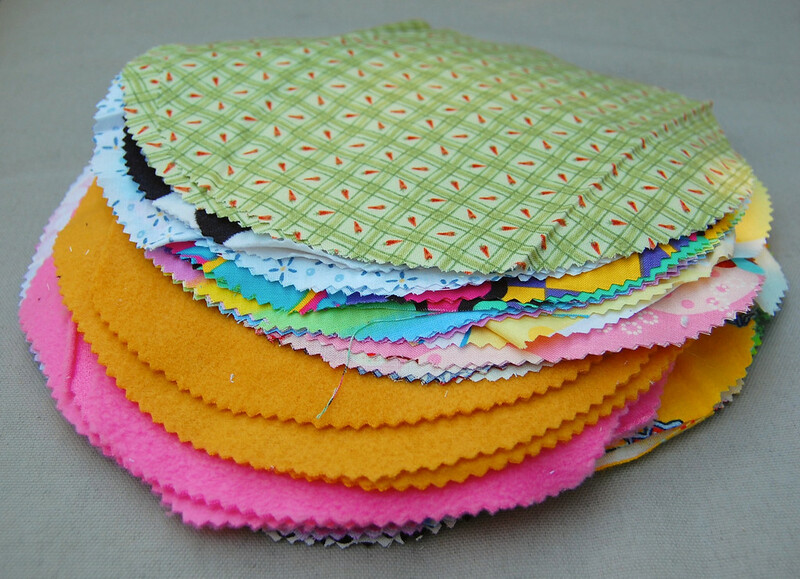 Then we busted my fabric stash and cut out circles. I wish I could remember how large they were - I'm going to say about 9" in diameter, but you should take that with a pinch of salt. 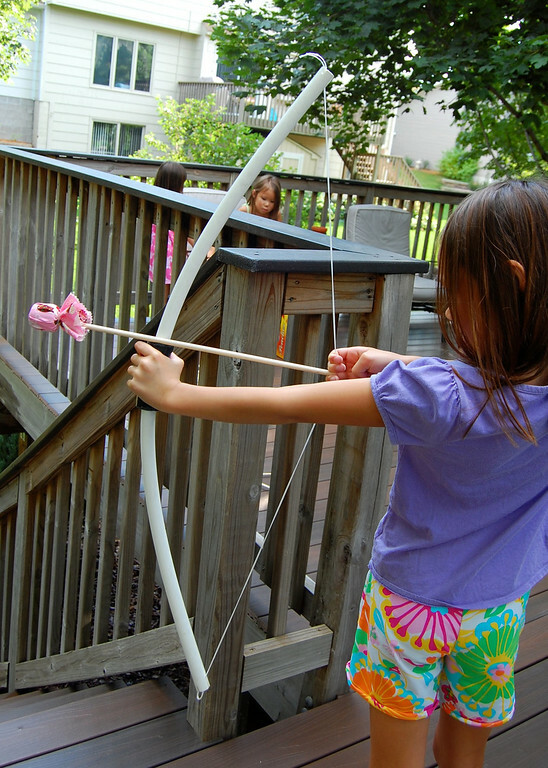 Funny story: when we decided to mass-produce the bows and arrows for the party, Emily looked worried. She said, "But you need cloth for the arrows. I'm afraid we don't have enough cloth." Stunned silence before I burst into guffaws. "Cloth? We don't have enough cloth? If there's one thing I have too much of, Emily, it's cloth." She then realized how silly her fear was, and grinned in relief at me. So, circles. 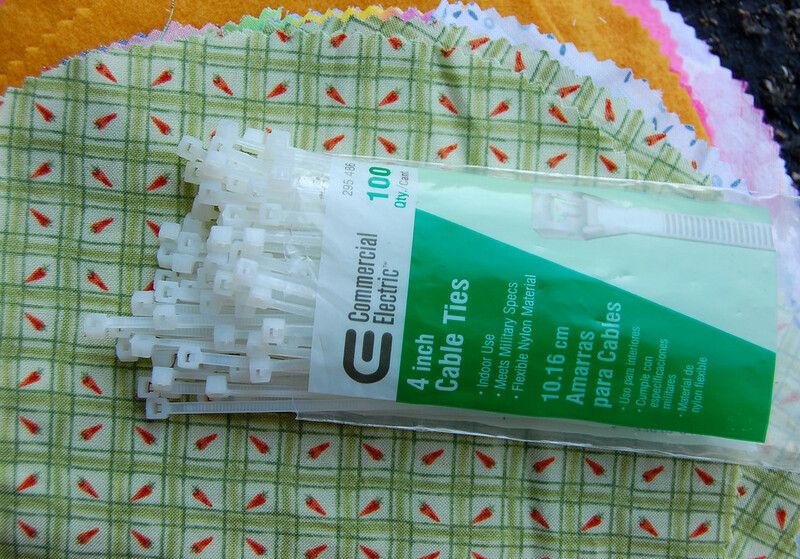 And also these short cable ties. 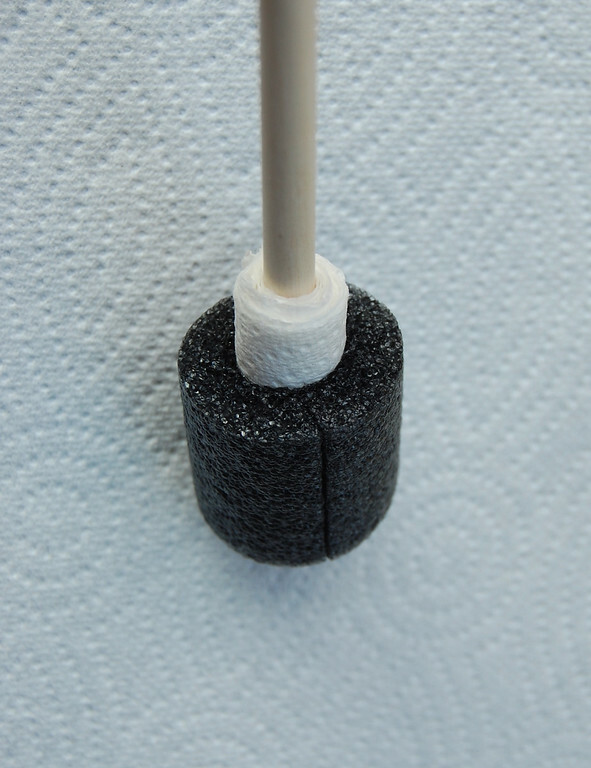 We wrapped a circle around each foam arrowhead and secured its neck with a cable tie, then snipped off the excess. one bunch for each kid at the party. But not before Emily and Jenna test-flew every single one, to make sure they nocked properly and flew straight. I'm guessing that you're thinking: How can these things fly? The have such huge heads! Well, let's just say you need some weight to lead the arrow to fly straight. Front-heavy is good - it prevents pitching and gives a stable trajectory. Back-heavy- not so. This head shape is relatively aerodynamic, at least sufficiently so for a toy. So fear not; it will fly. If you've ever made a paper airplane, you might have noticed the same thing: if you weight its nose, it flies better. But I digress. I always get carried away with kinematics. Sorry. Back to archery now. 1 Grip end of arrow between fingers and fit nock around string. Make sure arrow shaft is horizontal and not slanted up or down- if not, adjust grip height accordingly. 3 aaaaaand.... release (resist the temptation to push the arrow- just let it go). 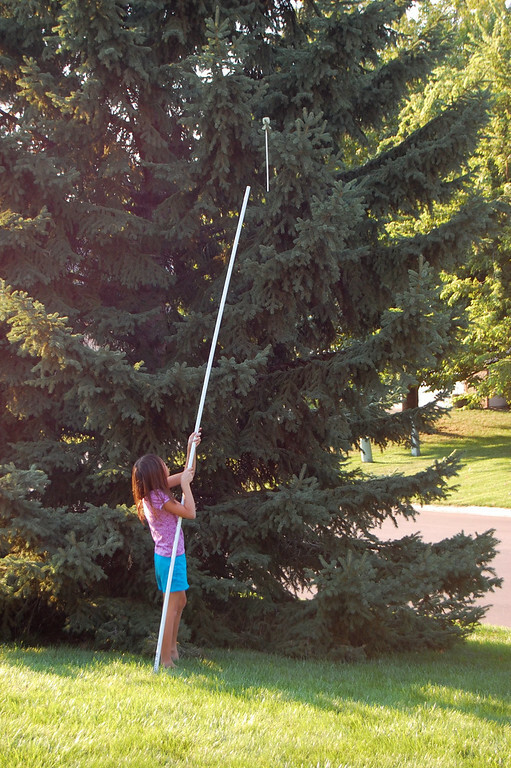 One last demonstration - how to use a PVC pipe to retrieve an arrow stuck high in a tree. 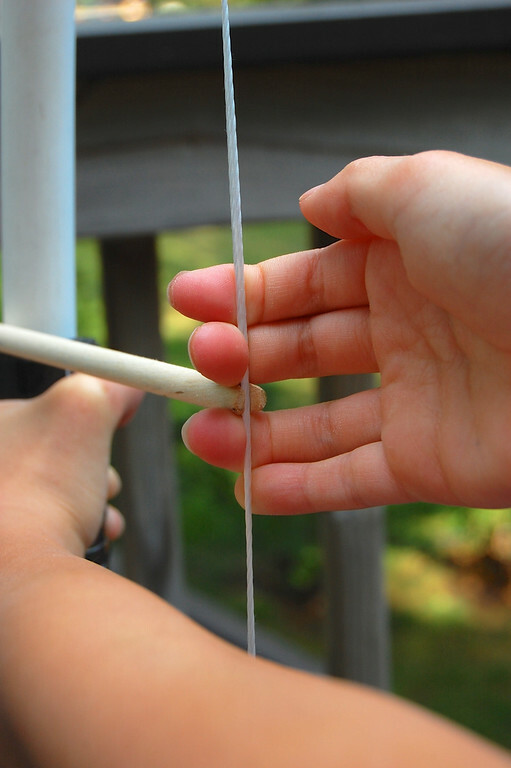 Slide the shaft of the arrow into the pipe and lift it off the branch. Better than throwing rocks or whacking with sticks to try to dislodge. Very useful, these PVC pipes! These bows and arrows are so awesome, amd so are the pics of your girls! Yes, an extra 10 feet of PVC pipe is always good to have around, and it doesn't even have to be planned. You could always buy too much due to poor Math calculations rather than good planning! I have been following along on this archery party & everything you've done is just amazing !!! your energy tires me out LOL! Thank you for these tutorials!!! 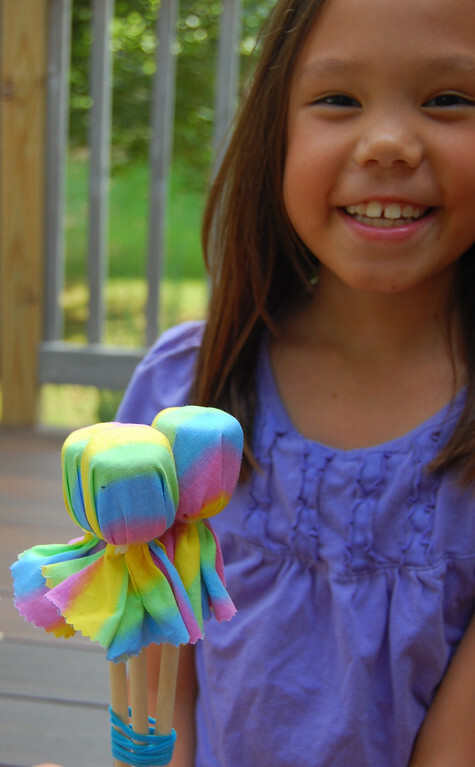 My kids (and I) are so excited to make these! this arrow tutorial is awesome! And I love the colors. 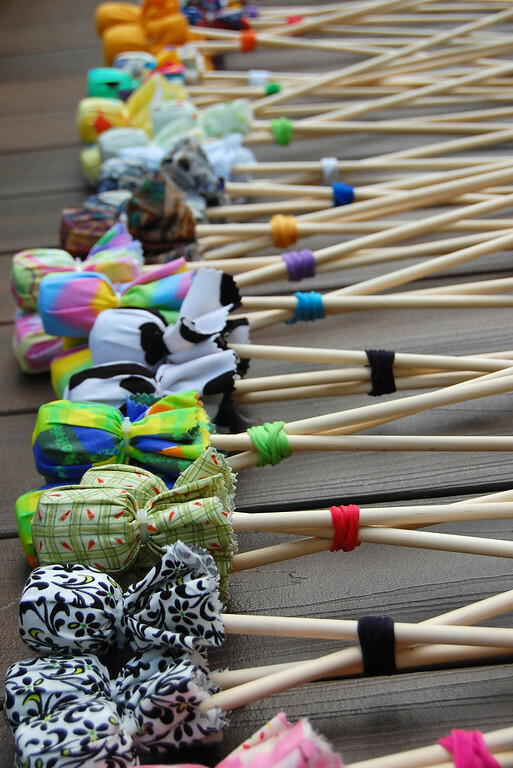 They look like lollipops lined up like that. I don't have any children but I think I need to gather up children of friends to have all this fun! Soooooo awesome. A bow and arrow is now on the Christmas wish in our house, list thanks to the movie Brave . Mmmm am thinking they might be the present for all the cousins this year after seeing your post - thanks! 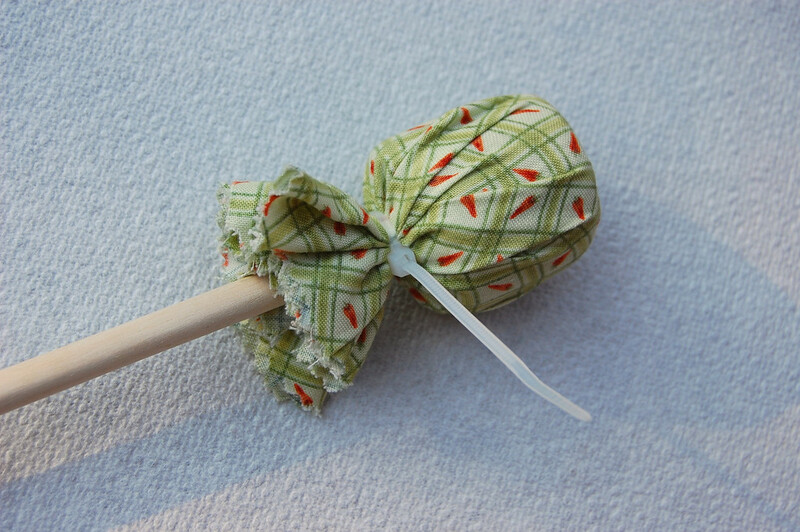 Only you would be able to figure out how to make an arrow with fabric, brilliantly executed. The fabric is such a great idea so each archer knows which arrows belong to them.. I am loving all of your Archery party posts, your daughter just radiates joy in each photo, what a special celebration. Zip ties and PVC are great too! You are such a cool mom!!! 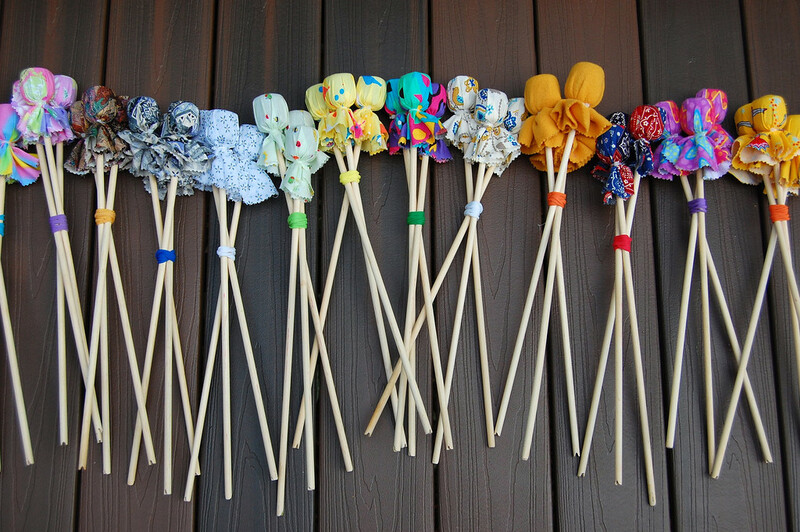 I JUST finished making the bows and arrows for my daughter's party! The party is tomorrow but your instructions were great and based on how much fun we have had testing the bows and arrows, I am sure the party will be a hit. The only dicey part is October in Montana.....thanks so much for the detailed posts! Thank you so much for the awesome tutorials! I had such fun making the bows and arrows - you can see my efforts here - http://jovialspondoodles.blogspot.co.uk/2012/10/archery-fun.html. I'm looking forward to my boys and I getting lots of fun out of them! Thank you for the wonderful bow and arrow tutorials! I've been sewing costumes so I directed my son and husband to the tutorials and they spent the morning making sets. Originally, the plan was to make only one for my son to go along with his Chief costume but we couldn't resist have a set for each of our 4 kids. Arrows have been flying all afternoon! Thank you so much! Me and my girls spent the whole day making a bunch of bows and arrows for the birthday party of my eldest daughter next week. The girls plan to practice the whole week, they're already loving it to bits. I knew I wanted this (=she would love this) for her birthday party as soon as you posted it. Thanks again! I will have to try those arrows for my hunger games bday party!!!!! 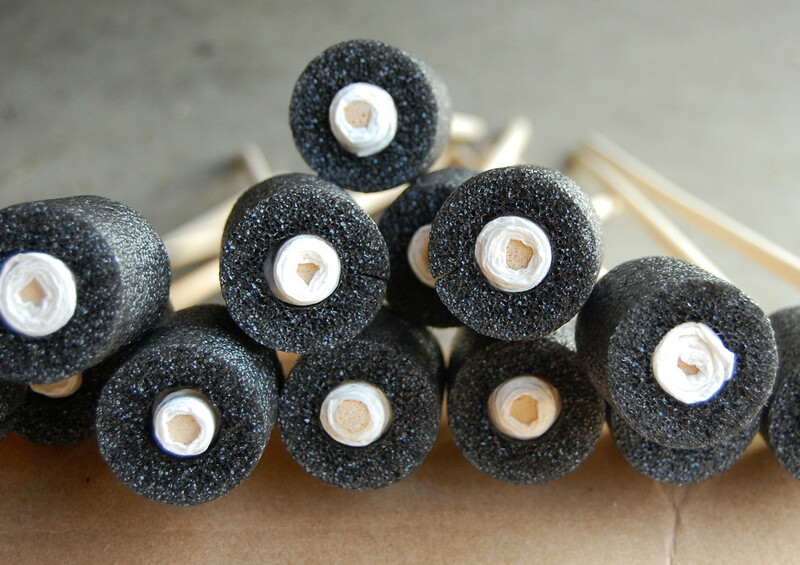 I use craft foam marshmallows on my arrows. 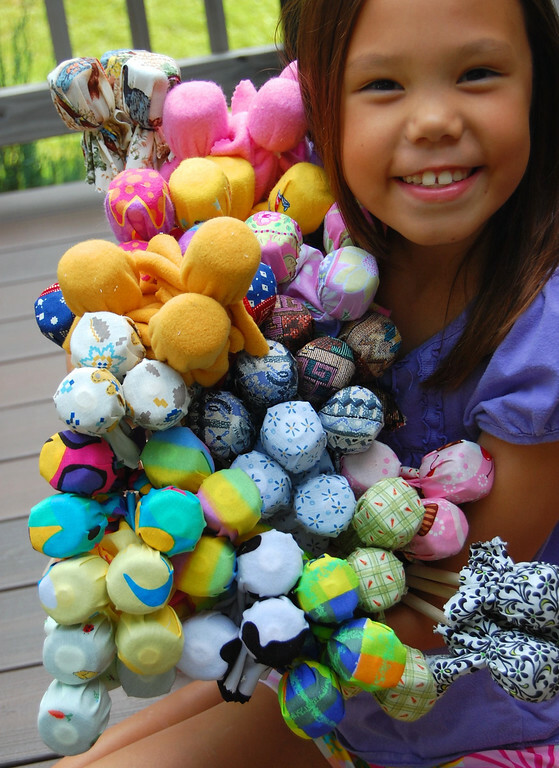 They can be found in kids crafts in stores or online(Darice is my main source for buying them in bulk). They my be a little more expensive than you method but they take less work and time. 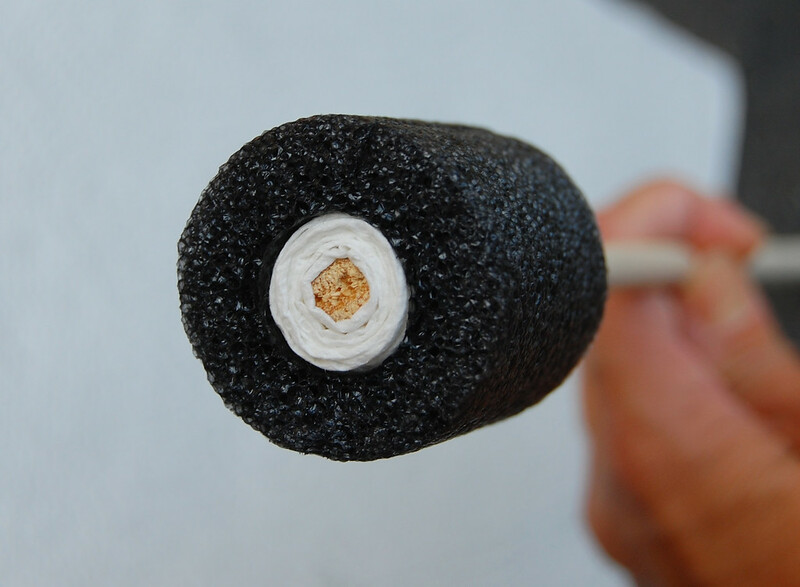 I just drill a hole about half the length of the marshmallow with a drill bit very slightly smaller than the width of the dowel, squirt some craft glue into the hole, and shove it only the unnotched end of the dowel. I also don't use the fabric at all since the loose edges can affect the flight of the arrows on windy days.